Botswana possesses 888 km of 1,067 mm gauge railway serving a number of towns and connecting the country to its neighbours. 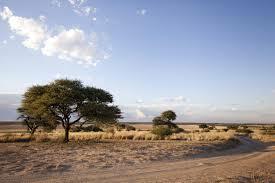 Botswana possesses 10,217 km of highway, of which 5,620 km are paved. Sir Seretse Khama International Airport, located 15 kilometres north of Gaborone, is the main international airport of the capital city of Botswana. Botswana’s energy sources consist primarily of electricity, fuel wood, Liquefied Petroleum Gas (LPG), petrol, diesel and aviation gas. Solar, biogas and biodiesel constitute a small proportion, about 1 %.